"It was a contradiction that she'd always shielded me from trauma, yet when it came to fairy tales she'd willfully sought out more disturbing stories, as if trying to compensate, giving me in fiction that which she'd tried so hard to take away from real life." "Everything that man has told you is a lie. I'm not mad. I don't need a doctor. I need the police." From there, Tilde and Daniel sit for hours and hours while she goes through a satchel filled with what she calls evidence of her husband's involvement in a horrible criminal conspiracy; while Daniel wants her to get the point, she insists on going through each exhibit one by one, in chronological order. The story she tells reveals much to Daniel about herself and her husband, and by the time the story reaches its conclusion, Daniel comes to realize a lot about himself. The Farm is a twisty novel, one that really plays on reader expectations. The reader, up to a point, takes the same position as Daniel here, having to decide whether or not Tilde's version of things is true and his dad is guilty of terrible crimes, or whether she really does need to be back in a hospital receiving treatment. Daniel faces the unenviable task of serving as both judge and jury, while in the meantime he begins to realize that there are a number of things about his parents he never knew, leading to the idea that maybe we don't know people as well as we think we do -- most especially members of our own families. I can't really say much without giving away the show. This is another one of those books where I had to take time to let things come together in my head, but I have to say, I ended up liking it. 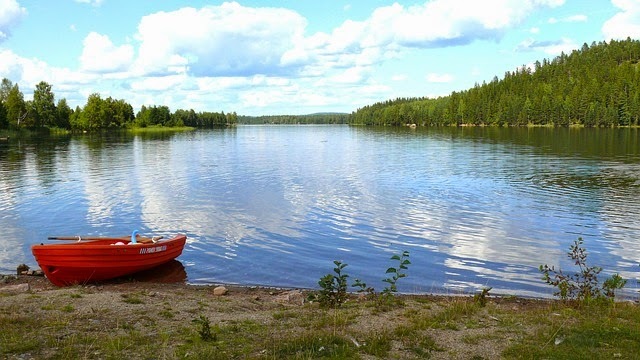 The Swedish setting with its forests, lakes and snow-covered ground provides the perfect backdrop for Tilde's chilling and highly-atmospheric story. While there are some spots where the pace seems sort of sluggish, each time Tilde took something out of her satchel things started to heat up again and I was drawn back in and ready for whatever might happen next. The ending comes fast, sort of out of proportion to the big buildup that proceeded it, but it is a bit of a shocker. It also hit home the idea that as much as you may want to ignore the past, sometimes it might be better to confront it. 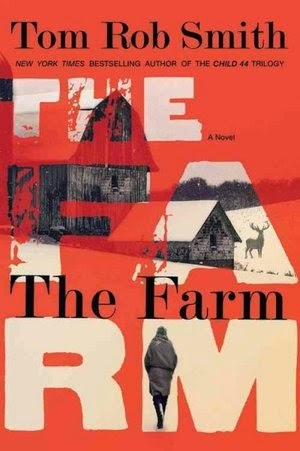 I also felt that since Daniel has such a weight on his shoulders here, he might have shown as much energy throughout the story as he did toward the end, but in the long run, The Farm is a really good summer read that will leave you thinking about those closest to you and the secrets they carry. It's also a heck of a ride.